We have started to work on that site around 2002 in a big size but previously we did some experiment to find out about how is the best way to reforest the area. The site have been used by orangutan and other wildlife as food source and corridor from one to the other end of the forest since 2007 / 5 years after we work there. What we are doing there now is habitat enrichment by planting more and more tree and more variety to ensure it will not become a kind of monoculture. We are quite confident that the natural regeneration will happen at this area as long as we do not have any fire accident. But while we always assign at least one of our staff to do fire monitoring at this area he / they also have responsibility to plant at least 5 tree every day. We do not get any specific fund to work at this area anymore by mean from funding organization but mostly private donor who believe in our work. It would be very helpful for us if you willing to give donation to this site to ensure we can keep working there until the area really do not need our assistant anymore. A huge thank you to all who have made donations to Jungleheroes recently! 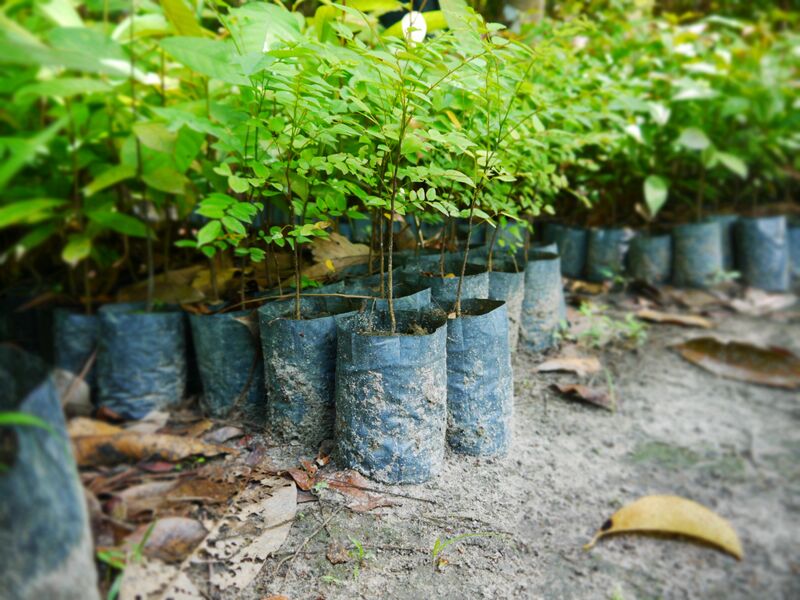 Your donations will be going to plant rainforest! Hi, admirable work! Glad I came across your site. We are thinking of a service trip as a family (2 teenagers). If we wanted to consider something like this and Borneo, any suggestions? Most recently I was in Borneo with Wild Orangutan Tours, http://www.wildorangutantours.com/ (their Facebook page is a good place to reach them too) It was not very “touristy.” (A good thing in my opinion) 🙂 I suggest contacting them and asking about a service trip. They are very helpful. The organization that we are supporting (their site is above) is actually based in Bali (I see from your blog that you have been) and work in Borneo as well. They have a lot of service opportunities there and I think they also may have service opportunities in Borneo. I know that finding this kind of thing in Borneo (at least having to do with orangutans) that will accept teens is difficult. I would take a look at and contact both organizations and check out what they have to offer. Good luck!